We’ve known ReBecca for more than 10 years, and have come to appreciate her thoughtfulness and creativity as our friendship has grown. 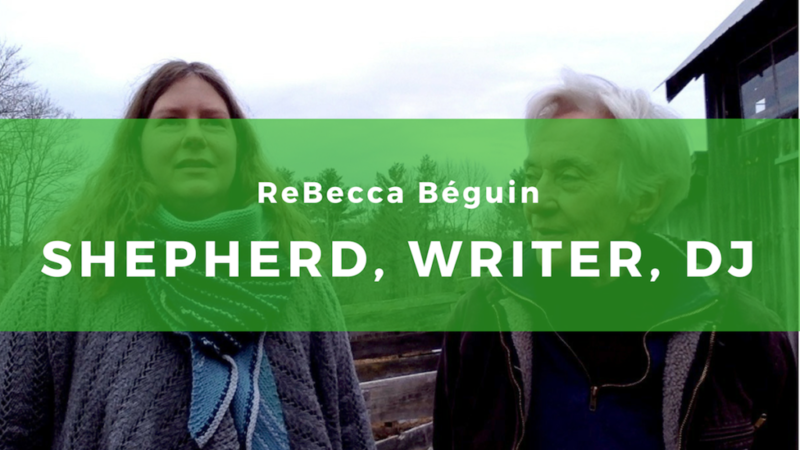 Join Sarah in conversation with ReBecca as we discuss her growth from accidental shepherd to committed advocate; her books that explore the human connection with the land; and her interest in our local community radio project, where she shares a weekly program of African music, In My Bones, spanning a wide range of genres. If you are interested in Romney fleeces for hand spinning or purchasing breeding stock, contact Broadbrook Mountain Farm. You can learn more about Rebecca’s current writing project Finding Delos – Kurt and Helen Wolff’s Far-flung Author: Mary Renault, and order her other books from her website. Check out more interviews with interesting people of craft.